The Austin Center for Musical Excellence offers piano lessons in Cedar Park, TX, and is convenient to Leander and Northwest Austin. Whether it’s picking up piano lessons where you left off, getting your children started on a lifetime skill, or starting anew with a brand new hobby, the Austin Center for Musical Excellence is dedicated to making your and your children’s engagement with piano fun! We are in Cedar Park, right on the edge of Cedar Park and Austin near Lakeline Mall. We are convenient to Cedar Park neighborhoods such as Buttercup Creek, Oakwood Glen, Shenandoah, Anderson Mill West, as well as being near Anderson Mill, and not too far from Steiner or Avery Ranch. You’ll be taking your piano lessons on two concert-quality Mason & Hamlin grand pianos, so you’ll be learning on truly beautiful instruments. Mason & Hamlin is regarded by many aficionados as one of the finest pianos ever built. Unless studying computer-based music, you will be learning on our grand pianos. We have a lot more in mind than just piano lessons. We can get you up-to-date with electronic keyboards and sound synthesis, computer-based recording and computer-based music notation such as Encore, Musescore, and Sonar Producer. We take modern technology seriously. This means we have implemented the latest in studio management. 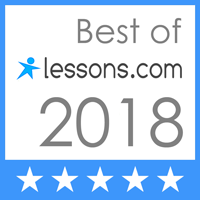 When you take your lessons with us, you receive weekly lesson notes by email, as well as the ability to communicate with us through our website, including registering for lessons, changing lesson times, or even paying tuition. No need to send children to their lessons with checks or cash that can be lost or forgotten. Adults will prioritize the things that are truly important to them. So, don’t let age stand in your way. We’ve worked with all ages, from kindergarten through retirement!